Create an excellent first impression with your customers by installing new glass storefronts. Our experienced professionals at Custom Glass Specialties specialize in storefront glass installation for offices, retail stores, and other commercial properties. 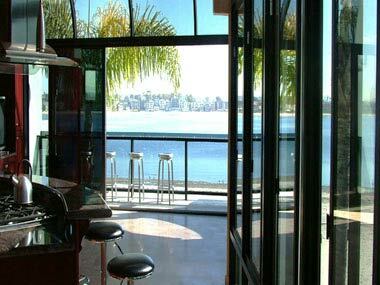 We are a storefront glass company in San Diego, CA, that installs commercial glass doors, windows, walls, and stairs. Since 1989, we've provided quality products and superior services for residential and commercial customers. From design to installation, we ensure the finished product exceeds your expectations. In fact, our great service record and positive attitude has earned us an excellent reputation in the community. Brighten up your store and let the sun shine in. We specialize in installing new storefronts and upgrading old ones. Whether your current storefront glass is scratched, old, or damaged, you can depend on us for prompt and accurate workmanship. Because we are a family-owned company, we know how to treat our customers like family. We approach every project with innovation and care. Our experienced and courteous team of glass designers and installers ensure that every finished project is nothing less than perfect. Whether you already have an idea or you'd like us to design a beautiful storefront, you can depend on our storefront glass installation. If it's not custom-built, then it probably won't fit. Whatever the job and whatever the scope of the project, we can create custom storefront glass that fits perfectly. From fabricating your storefront glass to completely customizing every detail with the utmost care, we make sure the finished product is exactly the way you want it. 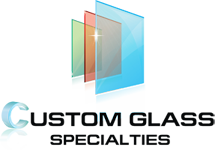 Contact us when you want to give your store a facelift with new custom storefront glass. We proudly serve commercial customers in San Diego, Chula Vista, Carlsbad, Rancho Bernardo, and Mira Mesa, as well as the surrounding areas.